The State of Ohio has taken the first step in taking down a pioneering crowdfunding site but could also be critically wounding the State’s growing entrepreneurial clout. In balancing the interests of both startups and investors, Ohio is making it clear that investor protection within the crowdfunding industry is its primary concern. While this is certainly a commendable and necessary mission, it may come at the cost of chilling the state’s startup momentum. It has already cost a prominent startup founder and crowdfunding leader her title and company. Last week the Security Division of Ohio’s Department of Commerce publicized a June Notice of Hearing and Notice of Intent to Issue a Cease and Desist Order (PDF). 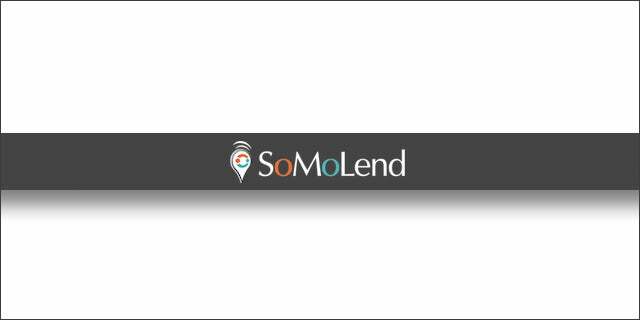 The targets are the Cincinnati-based crowdfunding platform SoMoLend and its founder Candice Klein. Among its allegations, the State lists securities fraud, fraudulent financial projections, false statements regarding current and past performance, and unregistered sales of securities. On August 14, Klein resigned her role as CEO and board member to SoMoLend. While the matter will come before a hearing in October, the greater issue is not just of SoMoLend’s fate but the fate of Ohio’s entrepreneurial community. As the underlying facts and allegations in the SoMolend matter play out, the entire US startup and crowdfunding community should be keenly watching and learning more about this matter. Because the language of Title III of the JOBS Act language is still not yet defined, this matter could have national implications once the SEC promulgates the specific rule and regulations. Reviewing the paper trail related to the JOBS Act and the State of Ohio’s stance on it, it appears that there are some major concerns the State has in regards to crowdfunding and startup financing in general. In its letter (PDF) dated January 9, 2013, the State lays out its views in regards to the pending Tittle III language. The State prefaces its views by stating that Congress “poorly construed” the provisions relating to reducing the risk of harm to the investor “in offerings where the investor has almost no bargaining power and little information.” In an effort to rebalance these types of transaction and protect the investor from fraud, the State goes on to suggest alterations and further clarifications of the underlying mission of the Act. A key focus of both this letter and of the SoMoLend action is the use of forecasts and projections by investment-seeking companies. The State declares that “ [i]n the Division’s experience, forecasts and projections are often rife with fraud, bear no reasonable basis in reality, and fail to identify the assumptions made and the sources of information relied upon (often because no such information is relied upon in making the projections).” In the SoMoLend Notice, the State goes to great lengths to demonstrate that the company repeatedly and consistently used five-year projections that to date are not “on pace” to achieve the stated milestones. While the going practice for startups in giving pitches is to present forecasts and projections, current accredited investors are responsible for conducting their own due diligence in making the decision whether to invest or not. With a crowdfunding platform the investor may or may not be a seasoned investor and therefore runs the risk of investing based on projections they cannot verify. Because, as the State explains in its letter, “[i]t is difficult to see how any young entity or start-up can, in good faith and with ‘a sound factual or historical basis,’ predict its future financial performance,” it recommends restricting the use of any direct or indirect forecasts or projections. This statement seems to ignore the previous acknowledgment that most young startups simply do not have the history or infrastructure yet to provide accurate representations. It would seem that intermediaries and platforms are in no better position to conduct this level of due diligence than the startup itself. This whole process is especially difficult for startups that are in essence creating a new market or product category. What information, market history, and financial comparisons can be used in such instances? This type of activity could greatly burden the crowdfunding platform and increase costs significantly. Because the State uses the term “fraud” liberally throughout its letter, it is apparent that its chief concern is just that and that it believes there is resounding fraud throughout the industry. As Andrew Schwartz, Associate Professor of Law at the University of Colorado detailed in his Comments (PDF) to the SEC, the language in the Act currently contemplates investor loss and ensures that the majority of investors could lose no more that $5,000 in a given year. While that would be unfortunate, it would not be life altering for those investors. Placing immense regulatory and disclosure burdens on the crowdfunding platform diminishes the very essence of crowdfunding – ease, less costly, and access. While greater scrutiny of the language and intentions of the JOBS Act is certainly a valuable and needed initiative, doing so with a bias against investment-seeking companies will only serve to diminish the impact such platforms could have on growth. A balance must be found between mitigating investment risk and increasing access to capital, which in turn creates jobs, companies, and revenue (taxes) for any state. The SoMoLend hearing is set for October and the State will issue a final order after that time.